We manufacture and supply the highly efficient Compression Testing Machine, which determines the compressive strength of concrete samples. The rugged construction and extreme simplicity of our Compression Testing Machines make it possible for even non-technical personnel to operate them with ease and complete dependability. The Compression Testing Machine provided by us is highly stable, suitable for testing cubes and cylinders of various sizes. 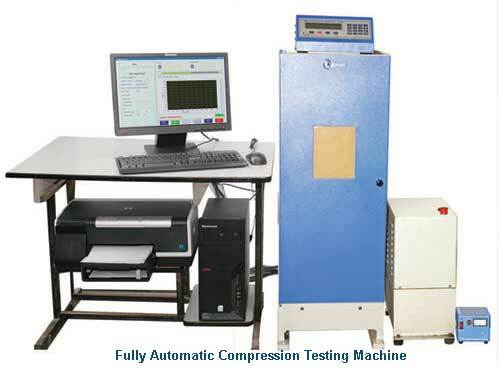 The Compression Testing Machine has logged data printing facility through a parallel port interface available in digital and micro controller based versions for automatic functioning.